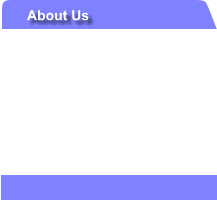 Welcome to Gulfcoast Gastroenterology Consultants Gastroenterology is the medical specialty focusing on diagnosis and treatment of problems involving the digestive system. This includes the esophagus, stomach, small and large intestine, liver, gall bladder and pancreas. Nutritional support of very ill patients is also part of our practice. Gastroenterologists have extensive training. Currently six years of training in internal medicine and Gastroenterology (GI) follow four years of college and four years of medical school; thus, ten years of training after college are required. 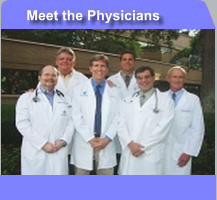 All of the physicians at Gulfcoast Gastroenterology are "double boarded" in Internal Medicine and Gastroenterology. Gastroenterologists generally divide their time between caring for patients in the office, sicker patients in the hospital, and performing diagnostic and therapeutic procedures. These procedures, such as gastroscopy and colonoscopy, are performed in outpatient surgery centers or in the hospital. Because the doctors spend about half of their time caring for patients outside the office, it may at times be difficult to arrange an office visit on short notice. Once a patient is established with one of the doctors, we attempt to have the same physician follow the patient in the office. However, if the patient should be hospitalized, he/she may see other members of the group during that hospital stay. All of the physicians are on active staff at Mease Hospitals Countryside and Dunedin, Helen Ellis Memorial Hospital, the North Pinellas Surgery Center, and Morton Plant Trinity Outpatient Center. EMERGENCIES & AFTER HOURS If you feel you are experiencing a medical emergency, please call 911. For emergencies during office hours that are not life threatening, call the office. For emergencies that are not life threatening after office hours, please call the answering service at (727) 448-2054. Calling the main office number after hours will also give you the answering service number. A physician is available before, during and after business hours. (Including holidays) TEST RESULTS Our office policy is to call with the results of blood tests, biopsies, and x-rays. Occasionally these reports do not reach the office in a timely fashion. If you haven't received your results within a week or so, please call the office. PRESCRIPTIONS If you need a prescription order refill, please call early during regular office hours so that we have access to your file and can maintain an accurate record of the medications that you are taking. Please provide us with your first and last name, telephone number, the name of the medication, dosage, and the pharmacy name and phone number. It is our policy not to prescribe narcotics after business hours, as the on-call physician will not have access to your medication record OFFICE PRACTICE APPOINTMENTS Our office is open Monday through Friday from 8:00 A.M. to 5:00 P.M. Please bring your insurance cards and authorizations to each office visit. Although every effort is made to honor appointment times, occasionally the doctor is delayed by emergencies or complex patient problems. We appreciate your patience in these situations. If you are unable to keep your appointment, please give us at least 24 hours notice. Rarely, your appointment may have to be changed because of emergencies or other problems, in which case we will notify you as soon as possible. PHONE CALLS Our staff makes every effort to answer the telephone promptly. However, at times the number of incoming calls is overwhelming. If a call cannot be answered, we have an automated answering system and messages may be left on voice mail. We strive to return all calls as soon as possible. If you do not receive a return call in a timely fashion, please call again. Medical questions will be directed to the nursing staff, who will return your call after consulting with the physician. FINANCIAL POLICY FEES & CHARGES Our fees are based on customary charges for our area. If you do not have insurance coverage, we require full payment at the time service is provided. Returned checks are subject to a fee of $25.00 and must be paid in cash. If problems arise with regard to timely payment, our billing department will be happy to set up a special payment agreement with you. Please bring all of your insurance cards to each appointment. We wish to stress that financial responsibility of services rendered rests with the patient, regardless of coverage. If you have been referred to us and require authorizations, you are responsible for obtaining these prior to all office visits. We attempt to complete disability forms in a timely manner, for a nominal fee of $35.00 due upon completion. 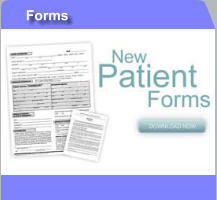 Your medical records are confidential and will not be released without your signed authorization. One copy will be provided to you at no charge. Fees for subsequent copies will apply at the rate of $1.00 per page up to twenty pages, then 25 cents per page, as Florida statute dictates. Changing your outpatient surgery appointment may result in a $50.00 administration fee.